Showing results for tags 'mika'. welcome to the new serbian-speaking thread! Everybody who speaks Serbian is welcome here! Also, all the guests who don't speak Serbian but English are welcome for the Mika and general chit-chat ! With this thread we want to show that Mika has got a stable fan-base in Serbia, and that we belong in the International Section along with other National threads. With the opening of this thread we're making it a whole lot easier to newbies and other guests to find their own thread where their native language is being spoken, to come on over and introduce themselves! Mika is performing at this year's EXIT festival in Novi Sad in July; he's coming to our country for the very first time, and he chose exactly Serbia for his 1st East-European Tour gig! DOBRODOŠLI! Ovo je tred za sve one koji govore srpski! Naravno, dobrodošli su i svi ostali, tako da će se na ovom tredu govoriti i engleski! Ovim tredom želimo da pokažemo da Mika ima fan-bazu u Srbiji, i da nam je mesto u Internacionalnoj sekciji, među svim ostalim Nacionalnim tredovima na ovom Fan Klubu. Otvaranjem ovog treda omogućavamo tek novim članovima da brže i lakše pronađu tred gde se govori njihov maternji jezik, dođu i predstave se! Mika u julu ove godine nastupa na EXIT Festivalu u Novom Sadu, prvi put dolazi u našu zemlju, i izabrao je da upravo u Srbiji drži prvi koncert u sklopu svoje istočno-evropske turneje! Ako se već niste prijavili, dođite na OVAJ tred http://www.mikafanclub.com/forums/showthread.php?t=22209 i prijavite da dolazite! Treba što više članova da skupimo! Jedva čekam da nas se što više prijavi i da vas sve upoznam! Hi. I am messaging because I am wondering if there will be any new music from our beloved MIKA ?because I am waiting patiently. If anyone has any updates please let me know ASAP because I really want to hear new music from him. Mika Funny Moments and Bloopers on Stage! This is a topic where you can talk about funny moments that have happened during Mika's shows! I love hearing about bloopers and funny stories from Mika's shows, especially because I've never been to one of his shows before. So, yeah, take it away friends! Mika will feature on a Dalida tribute album by the famous trumpet player and composer Ibrahim Maalouf. 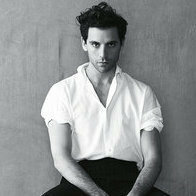 For the album, released on November 17th, Mika covered the song Salma Ya Salama. This is originally an Egyptian song, composed by musician Sayed Darwish for the 1919 play Qulu lu, according to Wikipedia. The lyrics are by Egyptian poet Badi' Khairi. In 1977, Dalida covered it in both Egyptian Arabic and French. Dalida's version can he heard here. More info about this album can be found here. Will Mika have any live performances in 2018? Does anyone know anything about that? Would travel anywhere to hear him live. Thanks! 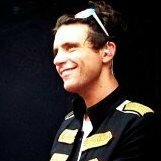 Will Mika resume the tour yet, or will it be possible to see him now only on TV? Hello Mika Fans! My name is Tereza and I'm from the Czech Republic. I was just wondering if you know any of Mika's famous friends? I know only about Kate Perry, Adele and Perez...Please tell me if you know anyone I'm just curious So let's talk about his friends! thanks a lot!! And excuse my English please!! What Mika song has the most meaning to you? What mika song can you relate to the most? mine would be last party. Hi everyone I'm new here, just spent the whole day going through all the amazing material here, thanks especially to the amazing translating team, you guys deserve the world for your contributions! I was watching the Mobistar concert where he forgot the lyrics to "Lola" and then tried to get someone to look up the lyrics then seemed kinda pissed when they didn't find it. I thought it was hilarious but also wondered what other singers do when they forget their lyrics? Do they also get the audience to help or just change songs? And then I wondered why didn't Mika have the lyrics printed out? He seems to have these papers on the top of his piano. And he said whoever gave him the lyrics could sit on the stage for the rest of the gig but I didn't see that. Sorry if this topic has already been covered. How popular/well known is Mika in your country and what are the general views on him? Hi everyone:) I was just thinking the other day about how Mika is mostly involved in France and Italy these days. I am from Canada and am a really big fan of Mika...I wish he received the notoriety he deserves. I have never understood why he isn't popular in the U.S. His music is amazing and of course he is very handsome and a lovely person. I am always shocked that not many people here in Canada talk about him or know his music (I am not from Quebec though). I saw a commenter say he should try the USA/UK audience again and I agree! His music is too amazing to go unnoticed by these countries. So how is Mika perceived in your country?